To change these settings, go to My Sites → Settings → Writing. 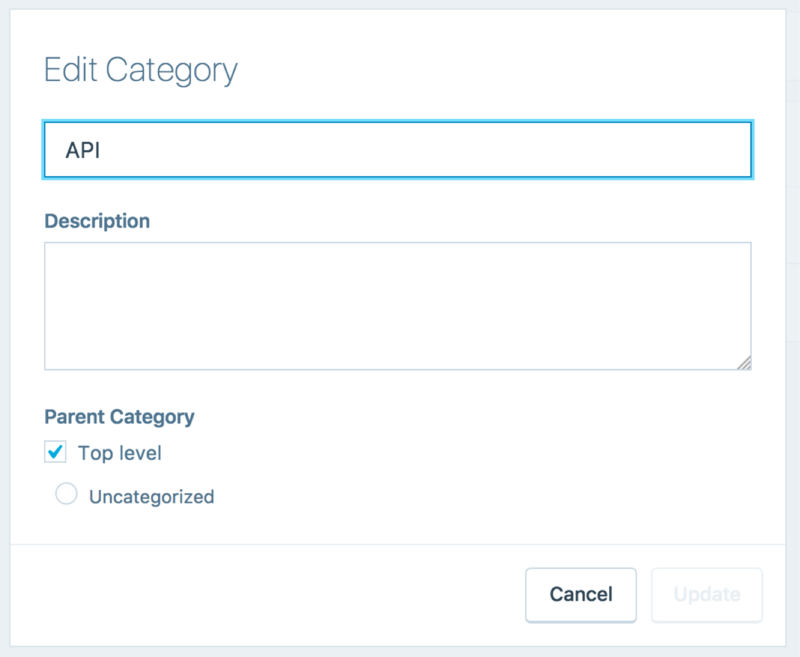 Open the Categories or Tags panels to change their settings. View posts in each category. Nest a category within another. View posts with each tag. 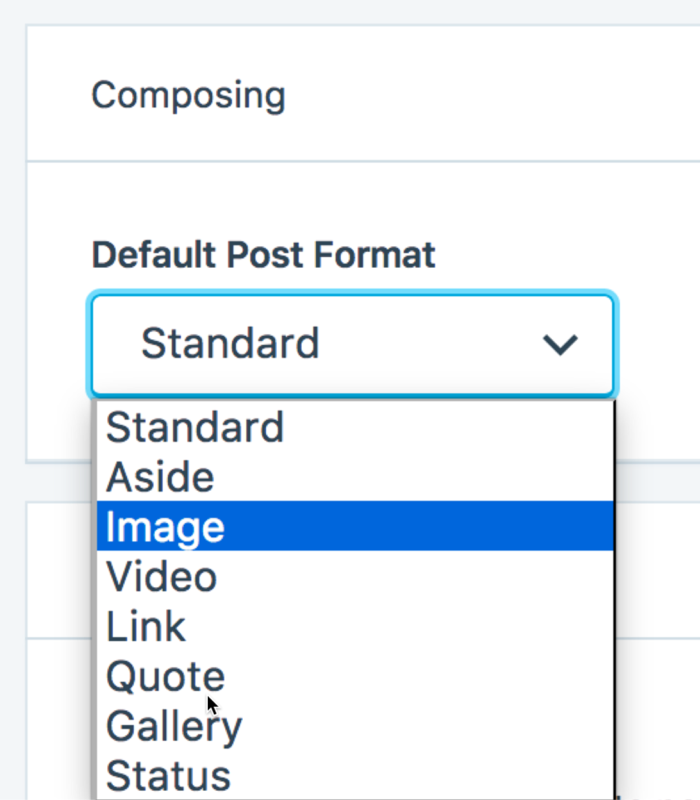 If your theme supports multiple post formats, you can select the default post format applied to a post. If you make no changes, the default post format is “Standard.” Learn more about post formats. 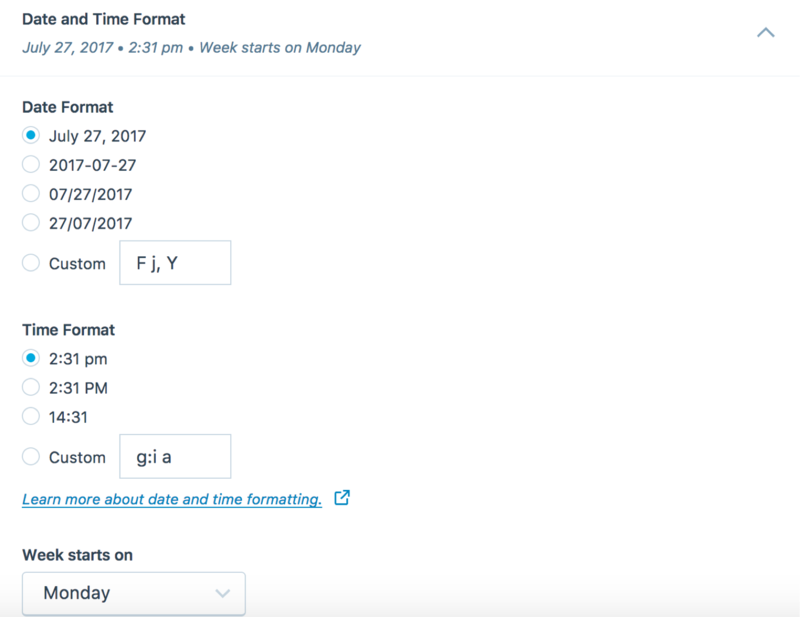 Open the Date and Time Format panel to choose how the date and time will be displayed on blog posts. 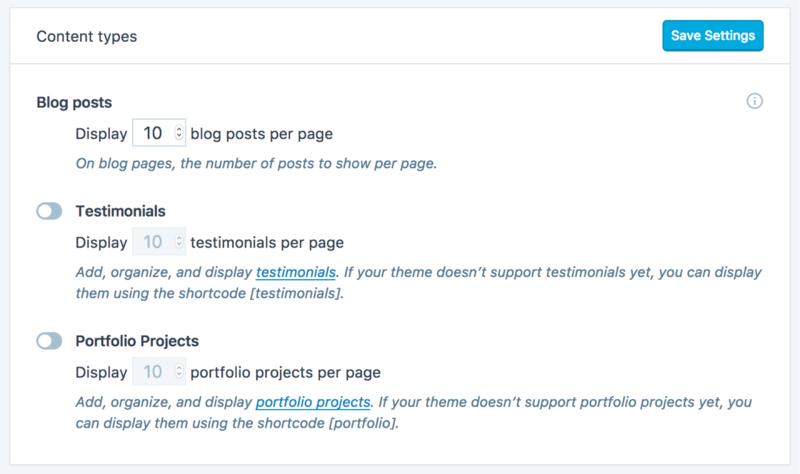 Set the number of posts displayed per blog page. The default number of posts per page is 10. Keep in mind that setting a higher number here may make your blog slower to load. Activate a portfolio (if needed) and set the number of projects displayed on portfolio pages. Learn more about setting up portfolio projects. Activate testimonials (if needed) and set the number of testimonials displayed per testimonial page. Learn more about setting up testimonials. Press This provides a lightning-fast way to grab text, images, or video from any website and post it to your blog without ever visiting WordPress.com. Learn more about Press This.